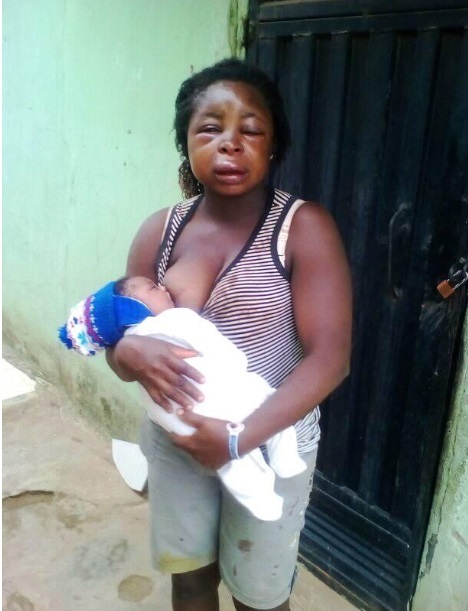 A nursing mother was brutally battered by her husband, not minding that she just gave birth to his child and is still recovering. 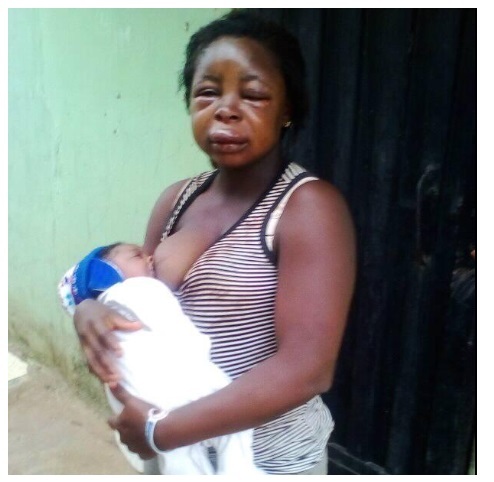 Heartbreaking photos shared by OAP Ifeanyi Orakwe shows the new mother’s disfigured face after she was physically abused by her husband. 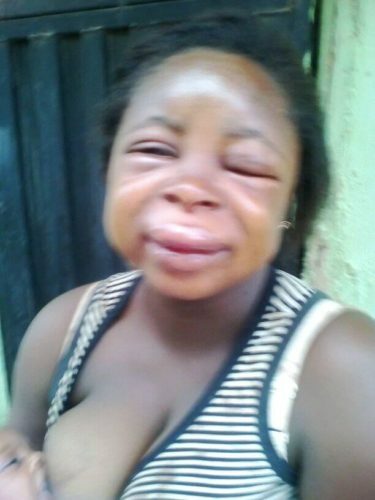 Her eyes were swollen shut and her entire face was also swollen. Stains that look like blood can also be seen on her clothes as she nursed her child in spite of her injuries. 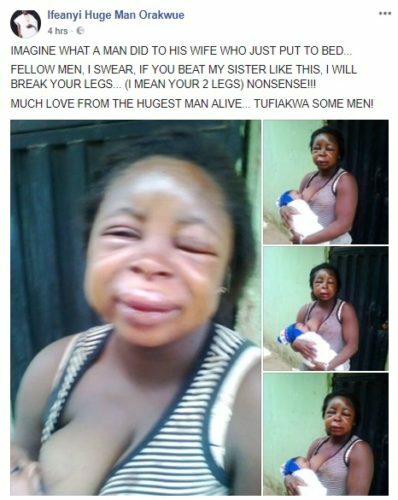 FELLOW MEN, I SWEAR, IF YOU BEAT MY SISTER LIKE THIS, I WILL BREAK YOUR LEGS… (I MEAN YOUR 2 LEGS) NONSENSE!!! MUCH LOVE FROM THE HUGEST MAN ALIVE… TUFIAKWA SOME MEN! 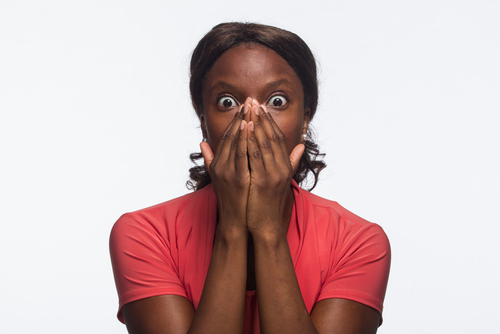 0 Response to "See What A Man Just Did To His Wife Who Just Gave Birth To Their Child (Photos)"